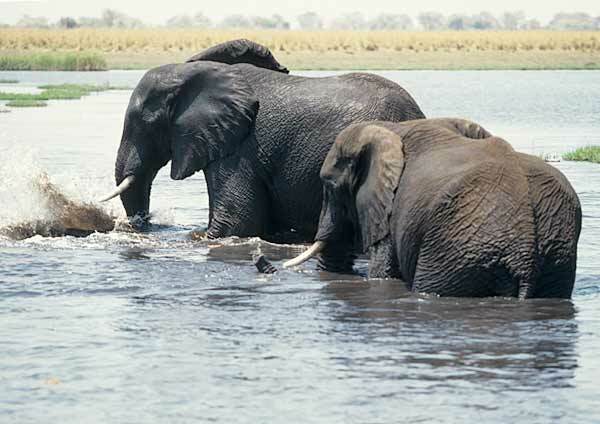 Caption: Elephants wading and splashing in the Chobe River to cool down during the heat of the day, Chobe National Park, Botswana. © Scotch Macaskill. This massive park has one of the greatest concentrations of game on the African continent, including what is regarded as the world's largest surviving elephant population.